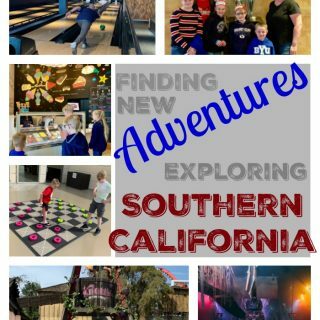 You are here: Home / Gift Ideas / Top 16 Gifts for Father’s Day ~ Something for Every Dad! Whether your favorite dad is into the outdoors, tech, sports, or just wants to relax at home with his family, we’ve got the top gifts for Father’s Day, with a great gift idea for every day. This guide will make it easy to find the perfect gift he’s sure to love. 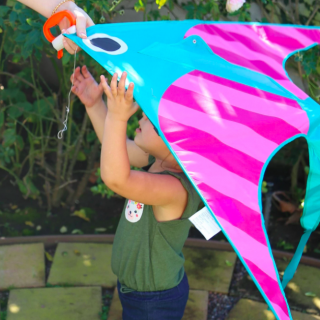 Otter Pass products are designed by a dad for dads: the founder, Jonathan Goudeau, was frustrated when he had kids that he couldn’t find the kinds of diaper bags and accessories he wanted, so he launched a line of products that dads can use at work or at home. 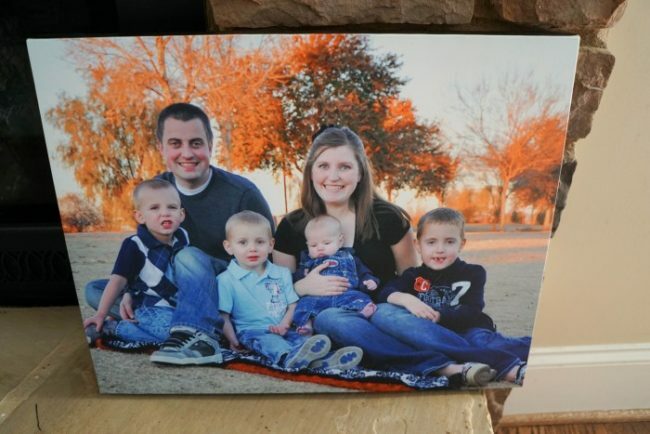 Each of their products can do more than one thing–the Dad Dopp Kit in the picture works as a toiletry case for travel or as a lightly-insulated snack kit, and the Bottle Holder fits tall baby bottles, 12-oz water bottles, or beer bottles. 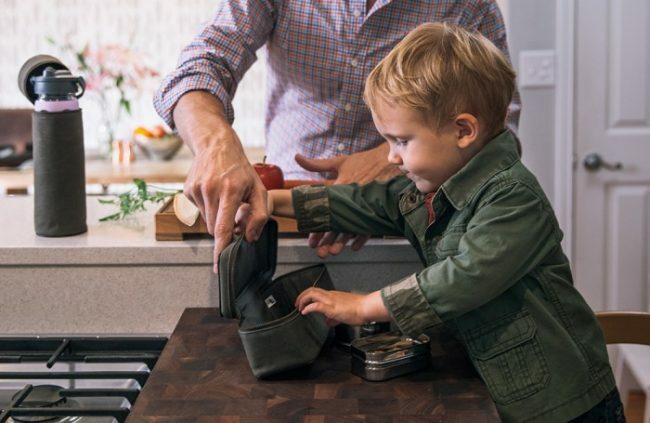 Their bags and accessories look like standard, classy leather-and-waxed canvas menswear on the outside, but they’re easy to clean and made to weather anything dads will encounter. Because Otter Pass thinks all dads should have the chance to help their kids thrive, 10% of every purchase will always go to supporting refugees who live in Austin, Texas. Connect with Otter Pass on their Facebook or Instagram page to stay in the loop with news and updates! 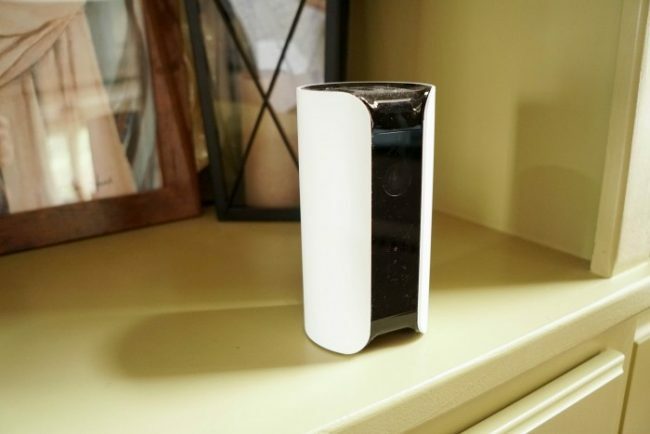 Dad’s won’t have to worry about the safety and security of their home with the help of a Canary All-in-One Home Security camera. This stand alone unit can sit on a bookshelf, like we’ve used here, making it as easy and plug it in set up the app, and you’re ready to go. You can set up certain zones, times of the day, or use the auto detection to sense when you’re away and have the camera beginning sensing for motion alerts only when you’re gone. There are lots of options to give you the perfect setup for your situation. The camera comes with a free basic subscription that gives you one day of video history and access to video motion clips. You can also watch live 24/7 making it easy to check in on your home. Or, for a low monthly fee, you can upgrade to have 30 days of video history and access to full length videos, plus their unique two-way Canary talk feature! Check out this in-depth review by Security Baron for more information! The outdoor enthusiast will love new gear for enjoying the outdoors, like a pair of Kelty Trekking Poles. Their Scree Trekking Poles weigh in at only 20 oz for the pair and are easy to adjust for your specific height and to easily collapse the poles down for easy storage in your trek pack. They’re strong, but lightweight, and can go from season to season and through various terrains with ease. 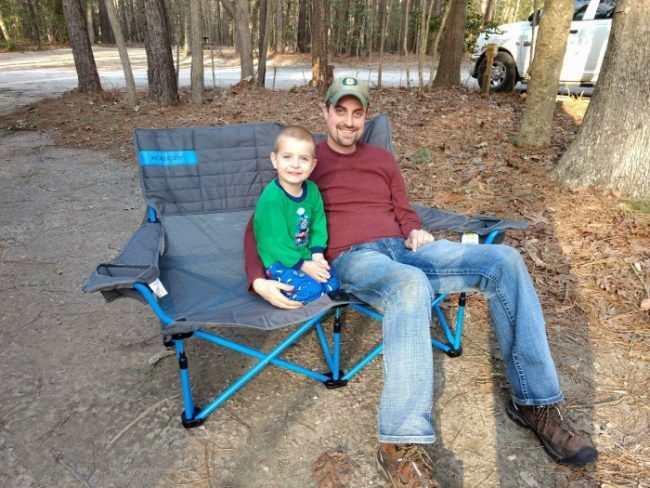 Or, give him comfort at the campsite with a Kelty Mesh Low-Love Chair. This double seat lets you cozy up together with air flow to keep you cool and comfortable. The lower height is so comfortable for getting cozy by the fire pit. I especially appreciate the Roll-Tote carry bag that makes it easy to carry this camping chair, but can also provide multi-purpose use to haul firewood or as a tent entry mat, or even to carry an armload of gear to the campsite. For the fitness buff, there’s no better gift than the Jaybird Run True Wireless Sport Headphones. These ultra-smart headphones come with a series of interchangeable tips and fins to create the perfect, and most comfortable, fit. They are sweat-proof and water resistant so you can take them wherever you go – even for a jog through the rain or a mud run competition. They run for 4 hours on a full charge and can recharge a full hour of play time in just 5 minutes. Best of all, the case works as a recharging doc so you can recharge on the go, with 8 hours of extra coverage in your pocket. Listen to music, take phone calls, and even adjust your sound with the customized options within the Jaybird app. You can use just one Run headphone to stay alert of your surroundings. What dad isn’t a superhero? Let him know how awesome he is with Fun Suits! They look like a traditional suit, but with a hidden design inside the jacket. Choose a suit featuring your favorite DC Comics or Marvel characters including Captain America, Avengers, Iron Man, Incredible Hulk, and even Doctor Who. You can go full character mode with suits decorated to fit the character – like The Riddler with a green suit decorated with questions marks to look full in character, or go with something more subtle he can wear to the office. 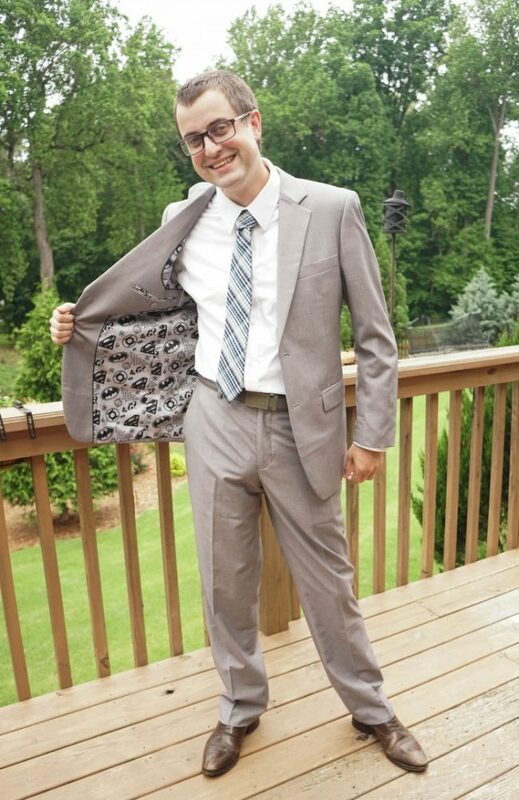 Fun Suits offer suit jackets, coordinating suit pants, and some dress shirts and vests to finish the look. My husband is wearing the Justice League Secret Identity suit that fits him great, and is fun, while still being work appropriate. 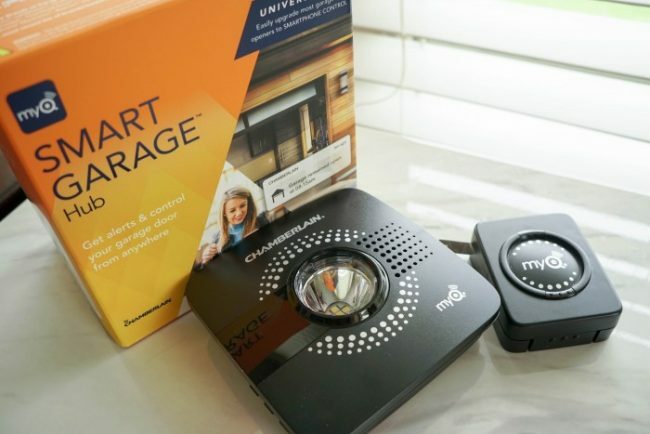 Make his life just a little easier with the help of a Chamberlain‘s MyQ Smart Garage Hub, a smart solution to controlling garage doors. It’s an easy DIY solution to make your home one step smarter. MyQ is compatible with most brands of garage openers and lets you control your garage doors with your smartphone or device. With the MyQ Home Bridge, you’ll be able to use voice commands like, “Hey Siri, open my garage door.” You’ll also be able to easily check to see if your garage door was left open, set schedules, and get status notifications. That makes it a helpful tool for letting guests into your home or ensuring your children get home and inside safely after school. The foodie dad that loves to cook will be thrilled with the gift of a Click & Grow Smart Garden 9. 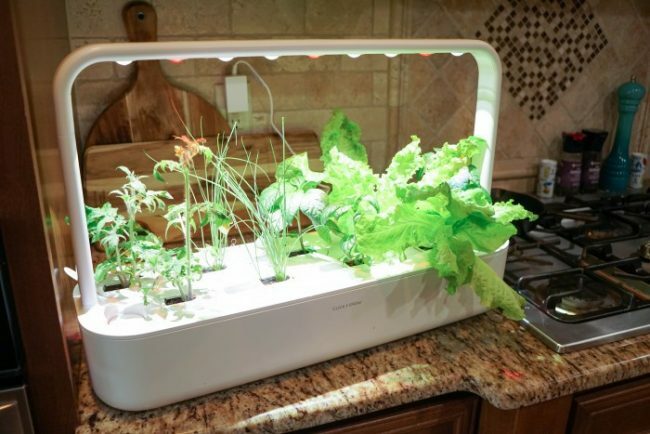 This self-watering garden gives you access to herbs and vegetables that grow indoors. It’s as easy as click in a pod with over 50 varieties including herbs, fruits, vegetables, and even flowers! The plants are well nourished in a NASA inspired Smart Soil that is designed to ensure the right amount of water, oxygen, and nutrients are provided to help it grow from a seed to a thriving plants — all on your countertop with the help of special LED grow lights. It’s literally as easy as refilling the take every other week and then harvesting the crops when you’re ready to use them. The Click & Grow Smart Garden 9 includes 9 starter plants to get you growing including mini tomatoes, basil, and green lettuce. I have yet to meet a man that doesn’t love jerky, and Chef’s Cut Real Jerky will make you think about jerky in a whole new way. The jerky is really soft and flavorful, no more breaking your teeth on a bite of hard jerky. Chef’s Cut is made from nothing but real meats and ingredients you’ll recognize. Choose from steak, turkey, chicken, or bacon jerky in a variety of flavors like Asian Style Teriyaki or Buffalo Style. 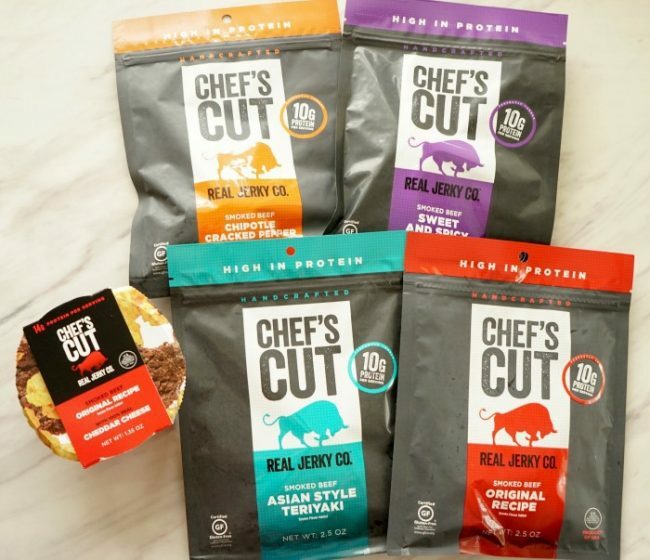 Try one of the Chef’s Cut Protein Snack Packs that include real jerky and dehydrated cheese for a perfect snack on-the-go. They are packed with an incredible 14g of protein per serving! You can find Chef’s Cut products locally at Walmart stores and some other local retailers, as well as online. Bring dad into the 21st century with some cool tech from Mobvoi. 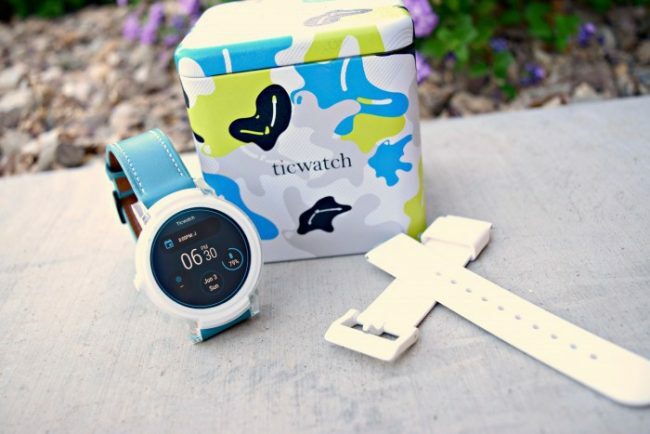 Mobvoi is the creator of the Ticwach E (Express) and the Ticwatch S (Sport) Smartwatch wearable technology. Mobvoi is a leader in artificial intelligence and is backed by Google and Volkswagon. They created the Ticwatch using that technology. The Ticwatch will be user-friendly for dad by using an intuitive interface and giving him access to all of the Android wear apps. He will be able to find apps for productivity, sleep tracking, health and fitness, music streaming and much more! The Ticwatch connects via Bluetooth to his smartphone running Android™ 4.3+ or iOS 8.2+. The Ticwatch E has interchangeable watch bands so dad can create his own style. He will be able to get all of his phone notifications straight to his wrist. Dad will never be out of touch when he can text and make phone calls right from the Ticwatch. He can even do it hands-free using voice commands. Ticwatch is dust and water resistant, making it perfect for the active, busy, health-conscious, technology-loving man in your life. You can even get 15% off for Father’s Day for a limited time! What better way to spend time together with your favorite guy than with new board games? 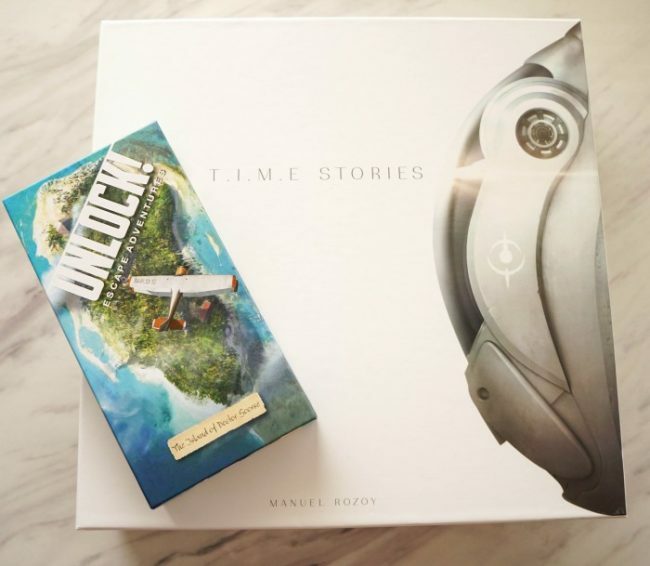 Try one of these fun games by Space Cowboys — TIME Stories and Unlock! In the Unlock! series of games you’ll play an “escape room” themed game all from the comfort at home. In Unlock! The Island of Doctor Goorse you’ll be split up on the island in two different teams and have to find a way to get off the island. TIME Stories: Base game plays like one of your favorite time travel movies. You’ll take on the role of characters who will jump back in time to correct moments that endanger the current day. But you won’t get everything right your first time back. This game plays over several play thru’s as you work your way back through time and space to discover what decisions made the biggest impact on the future. Additional scenarios and stories can be added to the base game. Visit Asmodee game publisher’s website to find many more fun games to try from Space Cowboys and other popular game designers. Update his look with the heritage brand styles by Dakota Grizzly. Their take on a modern outdoorsman brings comfortable, stylish, and durable clothes made for his lifestyle. Choose their Brewer short sleeve top for a polished look with a collar and textured polo that helps this shirt stand out. 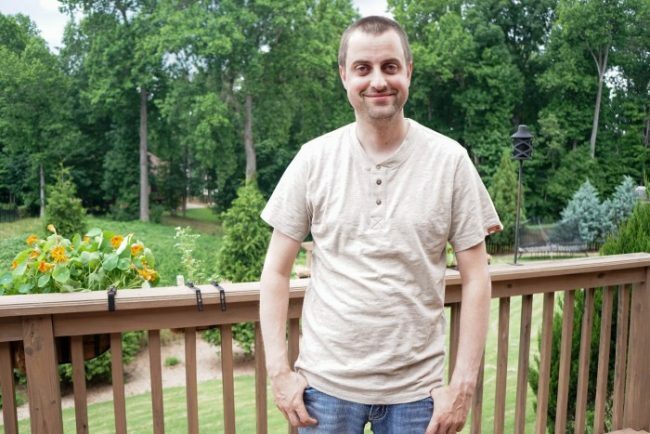 The Hale shirt will be perfect for a casual day made with a cotton/poly jersey so it is soft and comfortable. Or, maybe the Morgan for a streamlined top with stitching details across the shoulder/sleeve. Browse the Dakota Grizzly lookbook to see all their selection of shirts, shorts, outerwear, and accessories that will make a perfect gift for dad this year! You can empower dad this year with the gift of one of these top audiobook picks from Audible! Try Born a Crime a coming-of-age story of Trevor Noah, one of the fastest-rising comedy stars, as he tells about his youth growing up in apartheid South Africa. 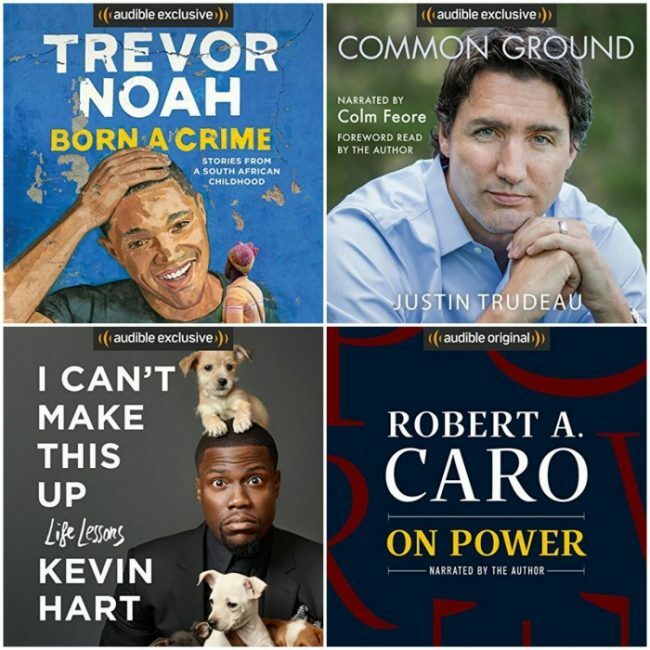 The audiobook Common Ground you can learn how Prime Minister Justin Trudeau handles life under the public eye and how different events in his life have influenced him. Try a humor title by Kevin Hart as he shares his life lessons in the audiobook, I Can’t Make This Up. A enlightening listen, On Power by Robert A. Caro will discuss his study of how power and government work and affect us. Finally, you can find a brand new irreverent audio series that was just released to guide fathers through parenthood in a 10 chapter title exclusively on Audible! These new titles will transform his commute from dull and frustrating to engaging and powerful moments to learn and expand his thinking. Make it easier for dad to do his share of the housework with the Shark IONFlex 2X DuoClean Cordless Ultra-Light Vacuum. It comes with two rechargeable batteries and a convenient charge station so you can clean even the most difficult spaces to reach with ease – all cord-free! It takes away the hassle of taking out a heavy and cumbersome vacuum and instead keeps the space easy to upkeep daily. 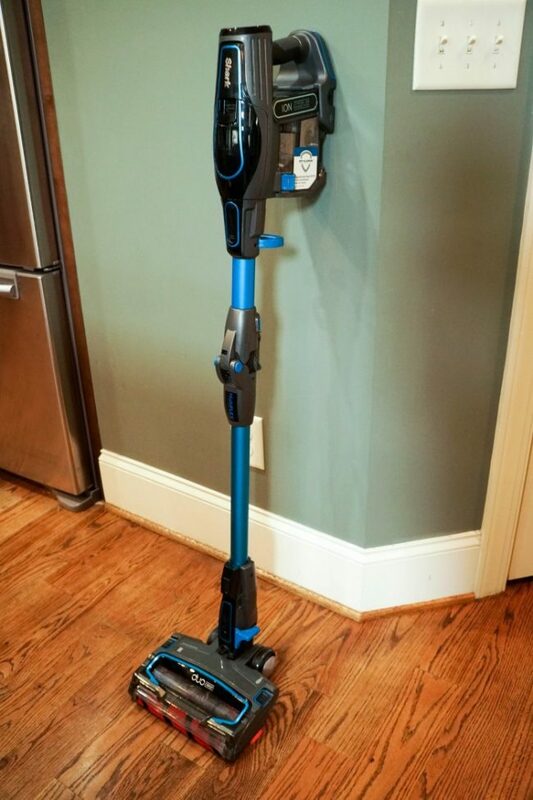 The IONFlex 2x DuoClean vacuum can be used as a stick vacuum to a wand vacuum and even fold over for storage it can be useful for cleaning everything from his cars and boats to his mancave. 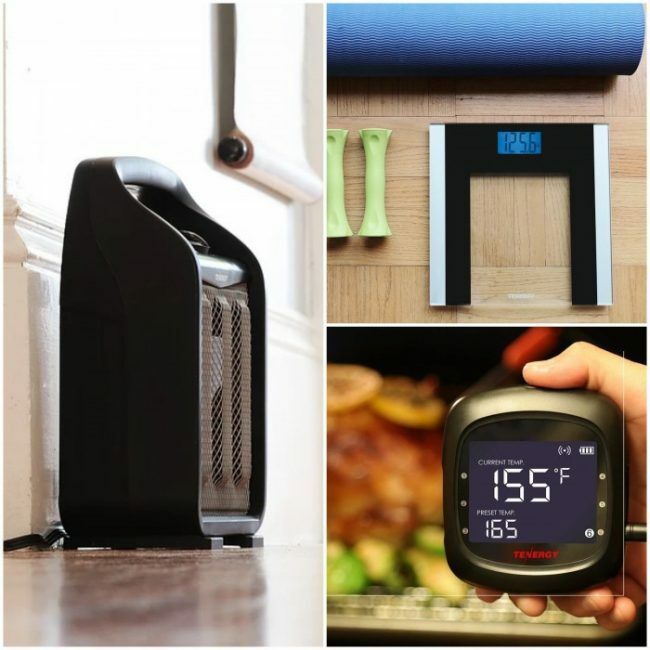 Tenergy has so many smart gift ideas for dads, here’s just three of our favorites. Gift him a compact Recirculating Portable Fan Heater that would be perfect for him to take to the office to stay warm while he works. It can be placed flat against a wall or desk with the air intake valve on the front so there is no heat build-up along the back. Gift fitness dad the Tempered Glass Digital Body Weight Scale to help him track his goals along with the included body tape measure that stores inside the scale so it’s always where you need it. Or, choose the Smart Food Digital Thermometer for the guy that likes to grill. His food will always be perfectly cooked with the app-controlled notifications he’ll know just when it’s ready! For the guy who knows his way around the kitchen, gift him GIFTSFORYOUNOW.com‘s Flipping Awesome Personalized Cutting Board. Whether he chooses to display this cutting board in the kitchen, or use it outside by the grill, he will love this high-quality and personalized bamboo cutting board. 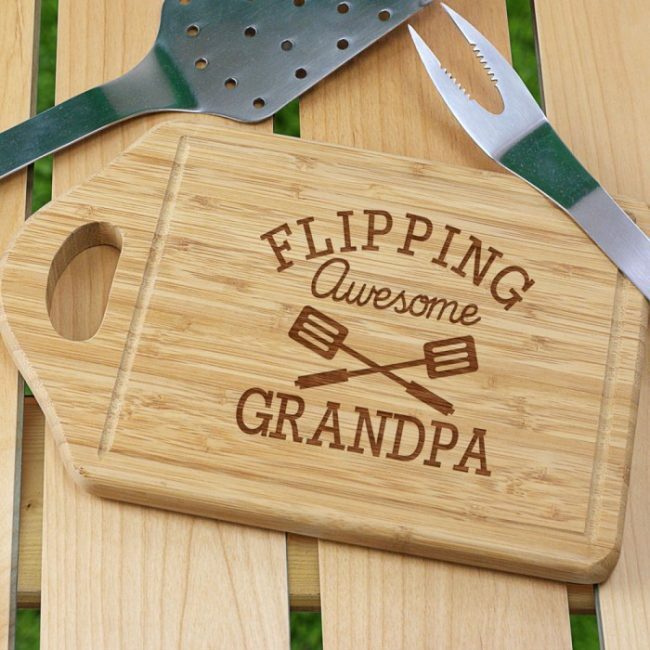 With the ability to custom engrave this cutting board with any title, this makes the perfect gift for fathers, grandfathers, etc. 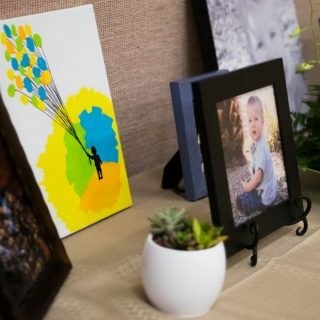 GIFTSFORYOUNOW.com also has a wide variety of other custom Father’s Day gift ideas including t-shirts, golf balls, mugs, picture frames, and more. Which of these gift ideas would you guy like best? 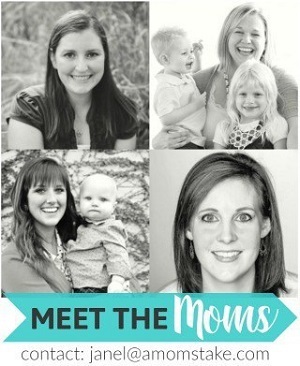 As a dad I can say I would enjoy any of these! 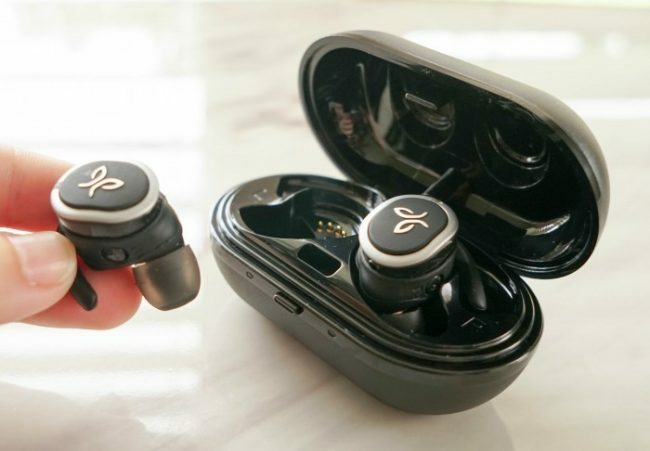 Especially the wireless earbuds – those are cool. Such great gift ideas! I love the double camping chair and the fun suit. 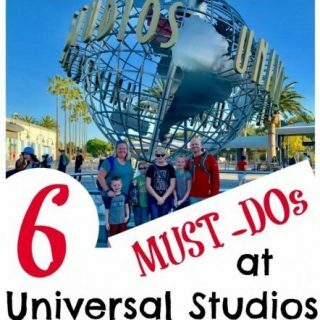 I think these are great ideas for all dads! Wow… to decide is the tough part. I think you helped me with Christmas and Birthday too! I can’t believe how quick Father’s Day is arriving! These are excellent gift ideas. I love those headphones, and he loves that jerky! These are awesome gifts! The garage opener and the security system are my favorite. My hubby would love to get these!